If you have been reading our blog over the last few months you have probably read about the awesome Arduino homebrew controller or the Arduino cocktail maker. After writing about these projects we thought that it was only fair that we also let you know about Bot1398’s Arduino Breathalyzer. After all, it is important to make sure that your friends are safe to drive themselves home after partaking in some of your home brewed beers! This project uses an alcohol sensor to provide an estimation of your blood alcohol content. If you are wanting to develop your soldering skills and build something which could genuinely be useful, this is definitely a great project to get started on. You can find out more at the following link. If you are looking for an Arduino board to provide the brains for your breathalyzer, the SuperHouse team recommends the Freetronics “Eleven” Arduino Compatible Board, click on the link to find out more. Working on your own home automation projects? The team at SuperHouse Automation would love to know! Tell us about it in the comments section below or on Facebook and Twitter. Looking for a unique project to develop your skills? Sick of telling the time on boring analog or digital clocks? 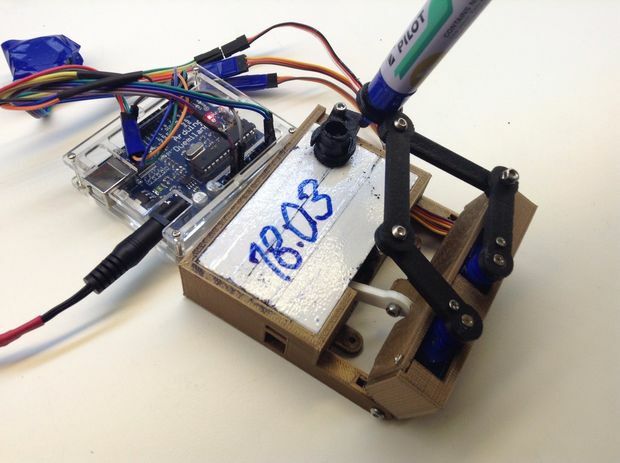 With this awesome project from Kjetil Egeland you can build your own “plot clock”. This clock uses servos to draw the time on a white board, rubs the time out, and then redraws the time. All of this is controlled using an Arduino Uno and a real time clock module to keep the clock in time! This project is sure to be a hit with your friends and make a great ornament around your home. You can checkout the “plot clock” in action below or find out more at the following link. 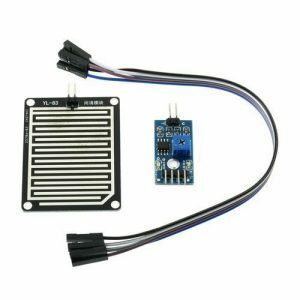 If you are looking for an Arduino board to provide the brains for your plot clock, the SuperHouse team recommends the Freetronics “Eleven” Arduino Compatible Board, click on the link to find out more. Like to keep track of when it has last rained? With this tutorial from theorycircuit you can learn how to interface between an Arduino and a rain sensor. Once you have done this the possibilities are endless. You could record data about how often and at what times you get rain, or even use the rain sensor as an input to your home automation system. For example you could automatically fire up your heater or close your windows when rain is detected. To get started learning about detecting rain with Arduino check out the following link. If you are looking for an Arduino board to interface with your rain sensor, the SuperHouse team recommends the Freetronics “Eleven” Arduino Compatible Board, click on the link to find out more. 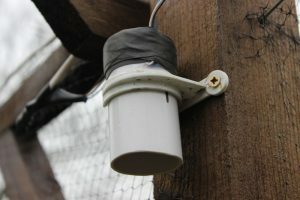 Have an amazing idea of what you would use a rain sensor for? The team at SuperHouse Automation would love to know! Tell us about it in the comments section below or on Facebook and Twitter. 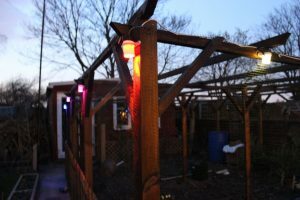 DIY: Spectacular Arduino Garden Lights! Have you ever thought it would be cool to nicely light up your garden? With this cool project from Steve8428 you can use addressable RGB LEDs to create a spectacular, dynamic garden lighting display. The lights are made out of pipe off cuts and controlled by an Arduino. This is quite a basic project but that doesn’t mean that the result isn’t impressive! You could easily integrate this lighting system into an existing home automation system and change the mood of your garden from your phone or even automatically based on the time of year. If you can’t wait to get started sprucing up your garden you can check out the project at the following link. If you are looking for some addressable RGB LEDs to use in this project, the SuperHouse team recommends the Freetronics FreePixel, click on the link to find out more. Are you are thinking about sprucing up your garden? Have a project you would like us to feature in this blog? The team at SuperHouse Automation would love to know! Tell us about it in the comments section below or on Facebook and Twitter. Do you struggle to get a good night sleep at night? With this unique project from flyingpudding you can use Arduino to build your own sleep tracker. The tracker allows you to monitor your sleep cycle and the movements you make during the night. The tracker is quite simple and is based off three accelerometers which are used to record data about your sleep. The Arduino sends the movement data to a laptop running Python which produces a very informative sleep pattern graph. You can see an example of the kind of data that this tracker produces in the picture below. If you want to get started making your own sleep tracker checkout the following link. This is just one of the many examples of projects where using an Arduino provides the perfect platform to collect and analyse data from a number of inputs, an integral aspect of home automation. If you are planning on building your own sleep tracker the team at SuperHouse Automation recommends the Freetronics 3-Axis Accelerometer Module. Check it out at the following link. Always wanted to create your own home automation system? Subscribing to SuperHouse Automation on YouTube is the best place to start! If you have a home automation project you would like SuperHouse to write about or found this blog post interesting? Let us know in the comments section below or on Facebook and Twitter. With this project from Pierre Charlier you can easily and cheapily make your own cocktail maker! 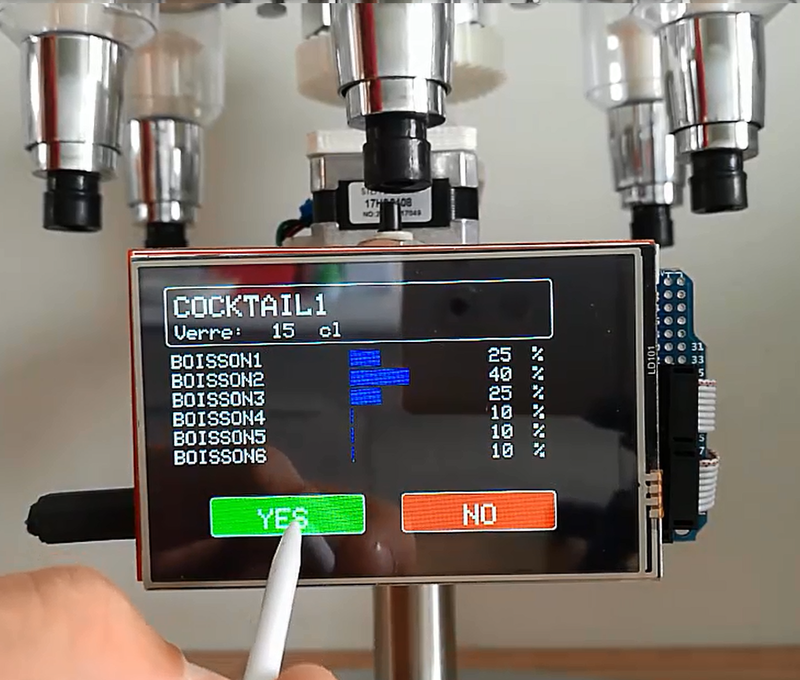 The cocktail maker is controlled by an Arduino Mega which interfaces between a “drink selection” touch screen and the motors that control the cocktail making! This is a great project to show off to your friends or to learn more about what Arduino is capable of. All of the design files and required code for this project are openly available so there is nothing stopping you making your own! If you want to find out more check out the following link. If you are looking for a motor driver the team at SuperHouse Automation recommends the Freetronics Dual Channel H-Bridge Motor Driver Shield. To find out more check out the Dual Channel H-Bridge Motor Driver Shield page. Are you are thinking about making your own cocktail maker? Have a project you would like us to feature in this blog? The team at SuperHouse Automation would love to know! Tell us about it in the comments section below or on Facebook and Twitter. 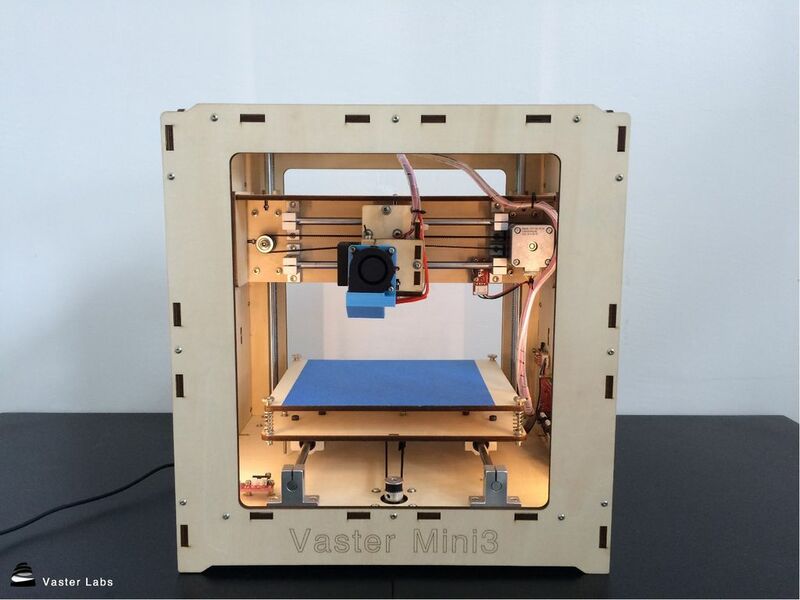 Have you ever wished that you had your own 3D printer? Are you finding the cost of purchasing your own 3D printer prohibitive? With this fantastic instructable from AlmusYang you can build your own 3D printer from scratch! Not only will you learn a lot about how 3D printing works, but you will be able to quickly build models or prototypes right from the comfort of your own home. If you still weren’t convinced, an Arduino provides the brains for this 3D printer meaning that the project is very easily modified and adapted to your own purposes. Having your own 3D printer can be particualry beneficial when you build your own home automation system as you can easily create your own custom cases, brackets and other assorted objects! This project is very well documented with full laser cutting templates and code samples provided. If the idea of building your own 3D printer sparks your interest you can check out the full instructions at the following link. If you have a home automation project you would like SuperHouse to write about let us know in the comments section below or on Facebook and Twitter. Are you sick of your boring old wooden coffee table? With this fantastic interactive coffee table designed by DanNixon, you are never going to be bored with your living room furniture ever again! The table incorporates a LED Matrix for cool lighting effects, an inbuilt bluetooth connected audio system and LCD’s to display useful information such as weather or RSS feeds. 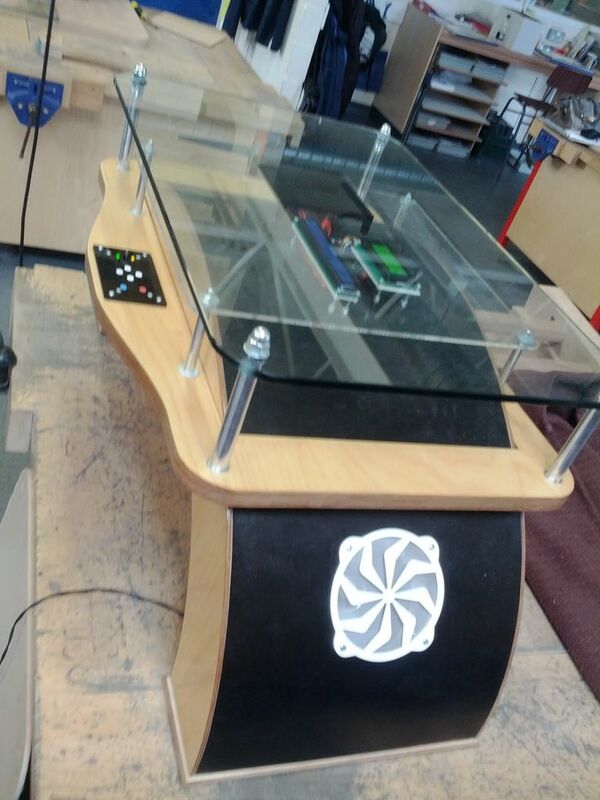 If you incorporate this coffee table into your home automation system you could configure it to receive up to the minute statistics about your home right from your living room. You won’t even need to pull out your smartphone! Turn Your Old Phone into a Smartwatch! Almost everyone has one of those old indestructible Nokia phones from yesteryear lying around! Whilst many people reminisce about their durability no one really does anything with these phones anymore. What if I told you that you could turn one of these phones into a smartwatch of the future?! That is exactly what Tinkernut has done. 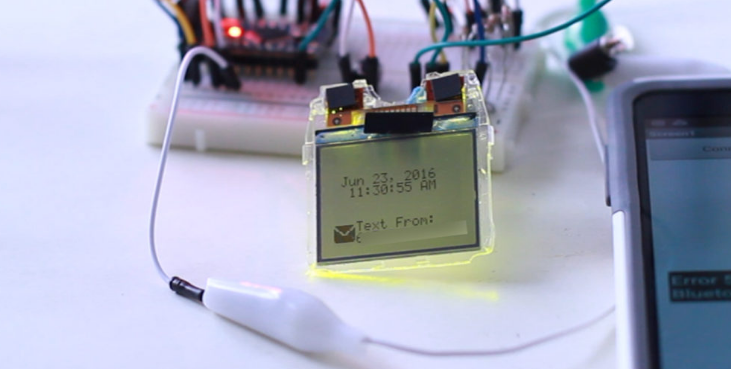 At a basic level this project uses the LCD from your old phone and adds a bluetooth connection so that you can display useful messages on the wrist sized display! The project is very well explained and takes you through how to code your watch, and even how to fit it into a watch sized case you can design yourself! While it might not be the most stylish watch it will certainly be unique! To get started on this awesome project check out the instructions. From a home automation perspective, you could easily configure your new smartwatch to recieve updates about the status of the various connected devices you have in your home! Are you are thinking about making your own night light? Have a project you would like us to feature in this blog? The team at SuperHouse Automation would love to know! Tell us about it in the comments section below or on Facebookand Twitter. Are you someone who is always running late? Are you frustrated when you miss a train or bus and are left waiting outside for the 20 minutes before the next service? 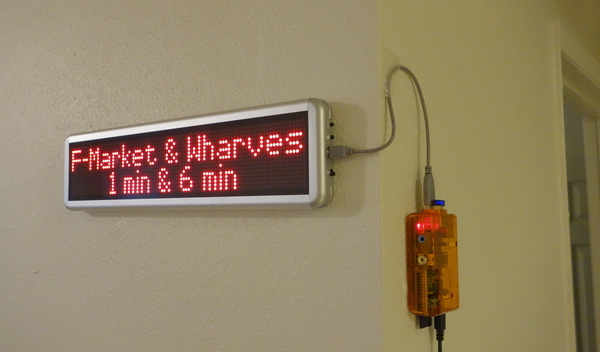 With this cool project you can use a DMD (dot matrix display) to display the upcoming times for public transport services you regularly use. You can put this display up on your wall at home and, (assuming public transport is GPS tracked in your city) automatically display the upcoming train or bus time predictions. This is sure to give you the motivation you need to make sure you are ready on time! You could even use this project to display upcoming weather forecasts so that you can make sure to dress appropriately for your trip. This project runs of a Raspberry Pi but could easily be adapted to fun off an Arduino if you prefer. To find out more about this awesome project check out the following link! If you are looking for an LED dot matrix display to use in this project the team at SuperHouse Automation recommends the Freetronics range of Dot Matrix Displays. Are you are thinking about making your own thermal imaging camera? Have a project you would like us to feature in this blog? The team at SuperHouse Automation would love to know! Tell us about it in the comments section below or on Facebook and Twitter.